The accumulation of an excess of fat in your liver leads to a health condition called fatty liver. It is also called as hepatic steatosis. 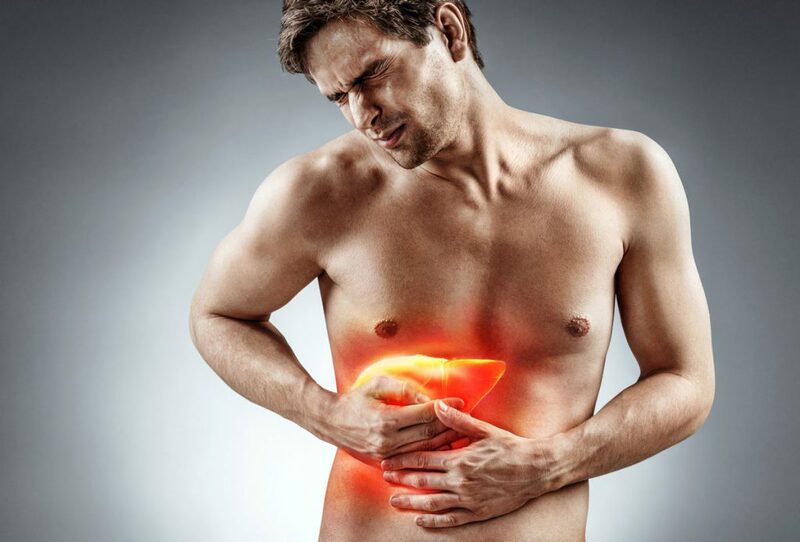 Heavy alcohol consumption is one of the prominent causes of fatty liver. Over time, a lot of intake of alcohol leads to a buildup of fats inside your liver cells. And, this makes it difficult for your liver to function normally. And, eventually, it may lead to the inflammation and chronic disease condition. However, you may develop fatty liver disease even if you don’t drink a lot of alcohol. Research shows that carbohydrates (and not fat) produce more fat in your liver and belly. In Nonalcoholic Fatty Liver Disease (NAFLD), as the name suggests, alcohol isn’t involved in its development. Instead, this undesirable liver condition results largely from metabolic syndrome, which may be marked by high levels of bad cholesterol, high blood pressure, insulin resistance, and large amounts of belly fat. There are different types of NAFLD. This means you have fat in your liver, but you may suffer from inflammation in your liver or any damage to your liver cells. Usually, it doesn’t get worse or cause problems with your liver. Most people with NAFLD have simple fatty liver. Cirrhosis: This is severe scarring in the liver that can lead to liver failure and death. About 20% of people with NAFLD tend to suffer from NASH. Some people don’t have any symptoms. But, if your liver becomes enlarged, you may experience pain or discomfort on the upper right side of your belly. This is the condition where swelling in the liver occurs that causes fever, nausea, vomiting, belly pain, and jaundice. In this condition, there occurs a buildup of scar tissue in your liver. It can cause the same symptoms as alcoholic hepatitis plus the following symptoms. Alcohol-related fatty liver disease usually occurs first. It then turns worse and become alcoholic hepatitis. Over the period of time, it may turn into alcoholic cirrhosis. If you drink heavily, its better you talk with your doctor. The doctors maintain your information confidential, and they can help you regulate your drinking and help you save your health. Usually, ALD and NAFLD may exhibit no symptoms. Some individuals may show some signs, such as pain in the upper right side of the belly (the area where the liver is located) or tiredness. If you have NASH or are suffering from cirrhosis, you may have symptoms as mentioned below. The reason why some individuals with NAFLD have just simple fatty liver while others suffer from NASH isn’t yet known clearly. Genes or genetics may be a reason. NAFLD or NASH is more likely to occur if you have any of the conditions mentioned below. Your body is unable to respond to insulin as it should normally (called insulin resistance) or if you have Type 2 Diabetes. You have metabolic syndrome. This is a combination of conditions that make you more vulnerable to develop Type 2 Diabetes and heart disease. You have high levels of triglycerides or bad cholesterol i.e. (LDL) or low levels of good cholesterol i.e. (HDL). Medical conditions that may be responsible for how your body uses or stores the fats. Gallbladder removal. Some people who undergo surgery to remove their gallbladder are more likely to develop NAFLD. Having certain medicines such as glucocorticoids, a synthetic estrogen, methotrexate, etc. Because most individuals don’t experience symptoms, these conditions may not be diagnosed easily. Your doctor will ask you about your intake of alcohol. This information can be helpful to your doctor to tell if you have ALD or NAFLD, so it’s better to be truthful and clear. Also, you need to inform your doctor about the medications you take, how you eat, and your other health conditions, if you have any. Your doctor may recommend or carry out different tests to figure out if you have fatty liver disease. Some of the tests which your doctor may use to diagnose fatty liver disease are mentioned below. Your doctor weighs you and examines your body for the signs of liver problems, such as jaundice or an enlarged liver. There exists no test which can tell you whether the fat in your liver is due to alcohol or not. Here are some tests which may prove helpful. Blood Tests: Doing blood tests can help you learn if you have high levels of liver enzymes, such as alanine aminotransferase (ALT) and aspartate aminotransferase (AST). If you have high levels of these enzymes, there could be a problem with your liver. Imaging Tests: You may get an ultrasound, magnetic resonance imaging (MRI), or computerized tomography (CT) scans done. These tests can help the doctor figure out if there’s any fat in your liver. But, these can’t tell or confirm whether you have simple fatty liver or NASH. Liver Biopsy: Not everyone with NAFLD needs to go for a liver biopsy. Your doctor may recommend going for a liver biopsy, if you’re at risk of developing NASH or if other tests reveal that you may have NASH complications, such as liver cirrhosis. There exist no medications approved for NAFLD, although some are in clinical trials. If you are suffering from complications due to NASH, such as liver cirrhosis or liver failure, you may need to go for a liver transplant. In general, people with NASH who get a liver transplanted do well. Quitting drinking can be helpful to manage ALD. It’s the only way you can avoid liver damage from turning worse. Also, you may be able to undo some of the liver damage which has already occurred. Have a word with your doctor about how you can get help. You may need to go for a medically supervised detox program to quit drinking and manage withdrawal symptoms safely. Lifestyle changes can help in dealing with NAFLD. Some of them are listed below. One of the best treatments for dealing with NAFLD is losing weight. Weight loss helps in reducing the fat, inflammation, and scarring in your liver. Losing just 3% to 5% of your body weight can cut down the fat present in your liver. Be active at least 30 minutes daily and exercise most days of the week for an appropriate time. If you’re working on to lose weight, you might find that it helps to exercise more. But, if you don’t have a habit of exercising regularly, get your doctor’s approval first and then start exercising slowly. Don’t do things which would be hard on your liver. Skip alcohol. Take medications and over-the-counter drugs only as instructed by the doctor. Have a word with your doctor before going for any herbal remedies. Just because a product is natural, it can’t be assumed to be safe. Eat a healthy plant-based diet, exercise regularly, and take your medications as instructed by the doctor. This will help you have appropriate cholesterol and triglycerides level. Regulate your cholesterol. Check your blood sugar regularly, and take medications as prescribed by your doctor. So, do not panic if you or your near and dear ones happen to suffer from a fatty liver. 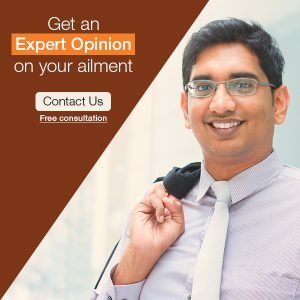 Visit an experienced doctor, learn about your condition, and get treated effectively to lead a healthy and happy life.